There are 13 days left until Christmas!! Are you shopping for someone and don’t know what to get them? A home décor gift is always different, fun, and a great way for them to remember you when they see it in their home. I shopped six of my favorite stores for home décor gifts under $100 and links for where to buy them. Happy Shopping! If you’re buying for a friend, that girl who has tons of jewelry, or a way to surprise your significant other with a new piece of jewelry already on a branch, this is the way to do it. 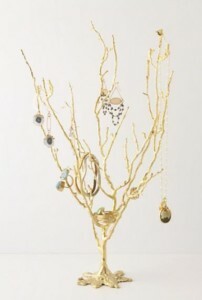 Anthropologie has a “Wish Tree Jewelry Holder” that is special and designed so well, you want to leave it out in your bedroom for everyone to see! Do you have man in your life that has everything but you want to get him something small, cool, and something he will display? This is definitely the “IT” gift! 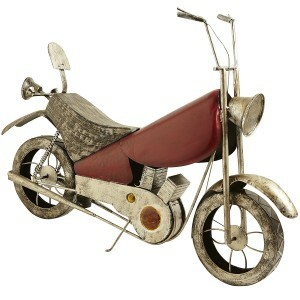 Pier 1 has this fun vintage Red Motorcycle that can be displayed in his office for him to think of you whenever he sees it! 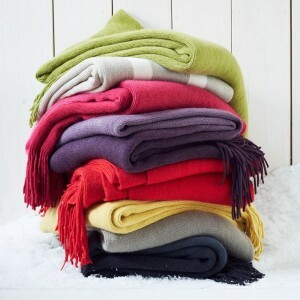 What is winter without a soft, comfy throw! Are you in a holiday Pollyanna at work? This is a great gift to give to anyone! 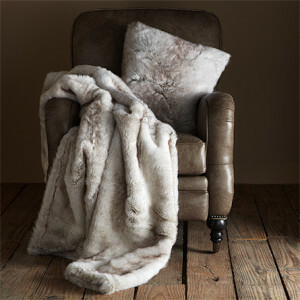 West Elm has this Soft Throw in various colors and patterns! Cuddle up and get warm! Another great gift for that man in your life, an iPad case! 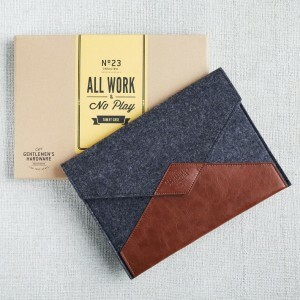 This isn’t just any iPad case; it’s a case that is sophisticated and manly! West Elm is offering is great “Gentleman Hardware Case” for that special guy in your life! Are you taking a gift as a house warming gift? 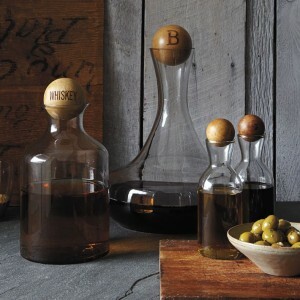 Or want to spice up your home bar or fancy up your oil and vinegar in a kitchen? This is a classic way to do so! Glass Bottles with Wood Stoppers! West Elm has this great idea and offers custom monogrammed items for the stoppers! Do you have a cook in your family? Pinch Pots are all the rage right now! 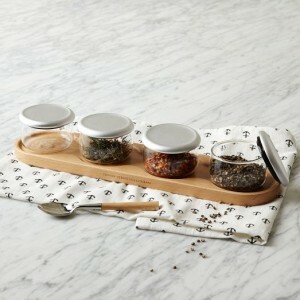 You can fill them with spices, herbs and salts to add to any dish, or display on a table for when guests come over! Its simple, easy, and a great way to explore new tastes with your foods! Have you been to this store recently…because it is quickly becoming one of my favorites! ARHAUS pronounced “our house” has great one of a kind pieces with a twist! Get there great “Faux Silver Lync Fur Pillow” for that special person to display in their living room or bedroom at a great price! Looking for something special to take to a holiday party as a house warming gift? This is it! 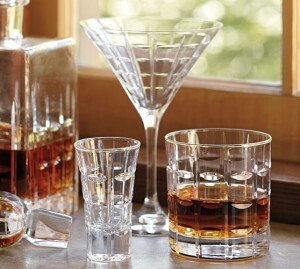 This 6 piece Barware set from Pottery Barn is classic, elegant, and makes for a great conversation piece. Add in a great bottle of your favorite alcoholic beverage and enjoy an old fashioned elegant night with friends! I love these; I want one in every size possible! 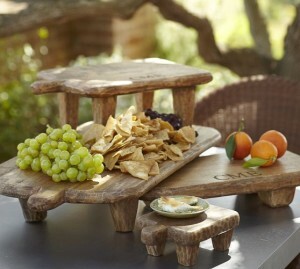 Wood Pedestals for entertaining is everything right now! So many great ways to display foods when you have guests over! PS…You can get these monogrammed as well! YAY! This is not only fashionable for your home but mixes old school and new school styles! 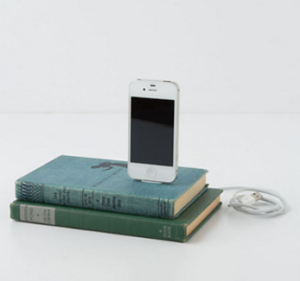 Anthropologie is offering a “Vintage Book IPhone Charger”; this is so cool on so many levels! 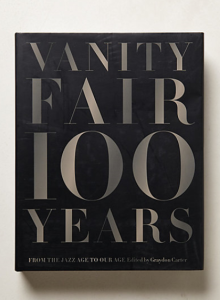 This is a wonderful coffee table book to give anyone who loves fashion. Its takes you from the jazz age to our age! It’s a wonderful book filled with gorgeous photos and nothing short of a show stopper! Gather around the table with loved ones and look at styles from the past to the present! Every time I walk past Restoration Hardware, I want to buy SOMETHING, ANYTHING, & EVERYTHING! 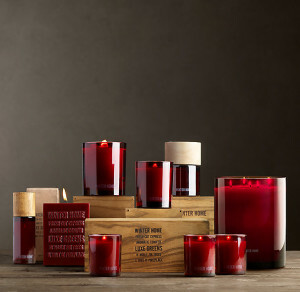 They have these wonderful Winter Home candles that make you feel like it’s the holiday season! Bring back an old school game with a special twist. Pier 1 is known as Cheer 1 for the holiday. 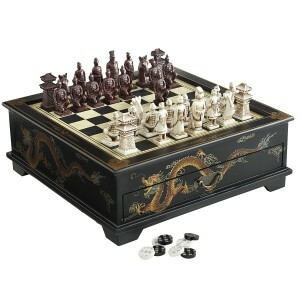 So cheer on your family members in playing Chess and Checkers on this great game set! Check-mate! Enjoy the gifts that will bring smiles to anyone’s face! Have fun during the gift giving season! This entry was posted in Holiday Gifts and tagged decorating ideas, decorator, home decor, interior, interior design, interiors on December 12, 2013 by Blair.